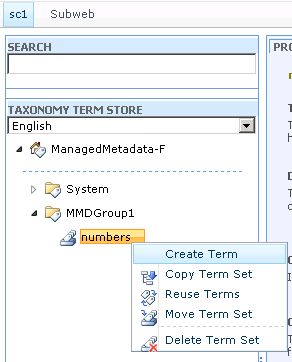 In this post I would be creating Managed Metadata Group, Term Set and Terms.I am trying out this activity at a site collection and not from Central Administration. 1) Go to the site collection Site settings page. 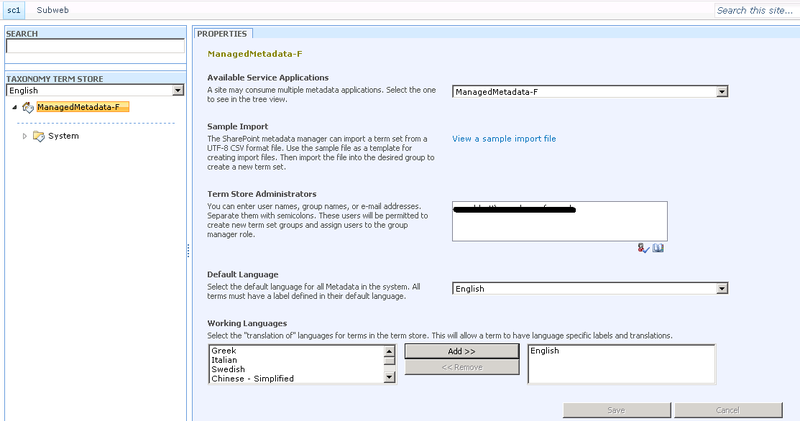 Browse to Term Storage Manager page by clicking on Term Store Management. 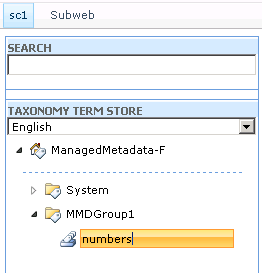 2) Here you see that the Managed Metadata Service Application (ManagedMetadata-F) is already available. (I created this in a different post). 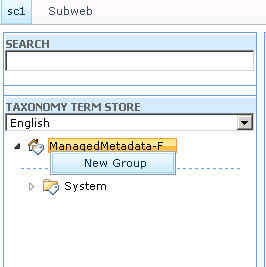 3) Create a new group under the Managed Metadata Service application by doing a right click ->New Group. 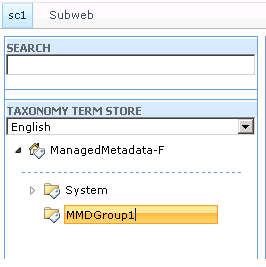 4) I am naming it as MMDGroup1. 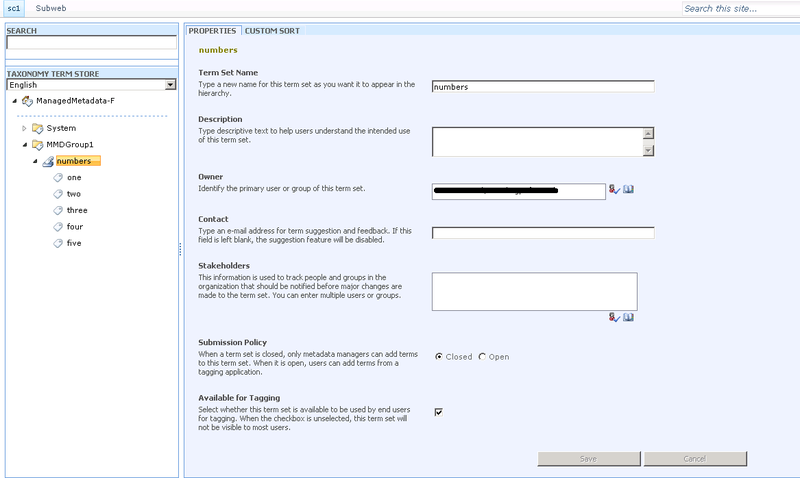 I can create permissions for users for managing this group. 5) Under this I would be creating a New Term Set and call it as numbers. 6) Below the Term Sets, I would be creating Terms. 7) In this case it would be the numbers one, two, three, four, and five. 8) Now we have created a New Group, Term Set and Terms. Click Save. 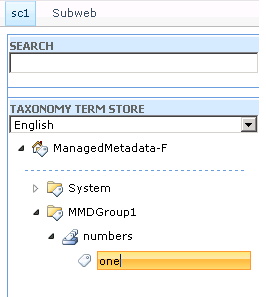 Next step would be using this in a SharepointList.